Will the event be canceled for poor weather? See our cancellation policy for severe weather on this page. Will there be an aid station? What fuel will be provided? Safety and first aid stations will be available at the transition/finish line staffed by volunteers from the Boulder Junction Fire Department and EMTs. There will be a warming hut where the ski/bike and snowshoe courses intersect. Race sweepers will be on the course throughout the event. It is your job as a participant to help another racer if they are in distress and need help. There is also a water/Gatorade station at the warming hut. In the case of emergency, call 911. Yes, we will allow studded tires on the fat bike course. Will there be a place to drop clothing at the start? Clothing can be left at your transition station. The transition area is very close to the start line and finish line. Are snowshoes required for the run? Yes, to keep this an even competition, please wear snowshoes even if you might be able to run without using them. However there aren’t restrictions as to what type of snowshoe you use. Where can I do some more skiing or biking while I’m in the Boulder Junction area? Find some ideas for exploring the area here. If I have any mechanical needs while I’m up north, is there a bike shop/support? Coontail in town has bike support. Other shops are available in Minocqua as well. If forget something, like a clothing item, where can I shop? Northern Highland Sports and Coontail have sporting gear available. Visit our shopping page for a full list of retailers. Are there awards for top finishers? What were the winning times last year? Individuals, ages 15-70+: Medals will be awarded to the top male and female in each of the following age categories in both classic and skate ski divisions: 15-19; 20-29; 30-39; 40-49; 50-59, 60-69, 70+. The top male finisher and top female finisher overall in each ski division will receive award plaques. Last year’s race results are here. I’m not going to compete this year, but are there any volunteer opportunities? We always welcome volunteers – we need plenty of help and may have some shorter shifts available. If you would like to volunteer, please call 715-385-2400. What kind of ski wax should I use? What tire pressure should I run? Race day conditions will determine the best setup. We’ll post some information on Facebook about trail conditions and some local skier/rider tips, as the race approaches. 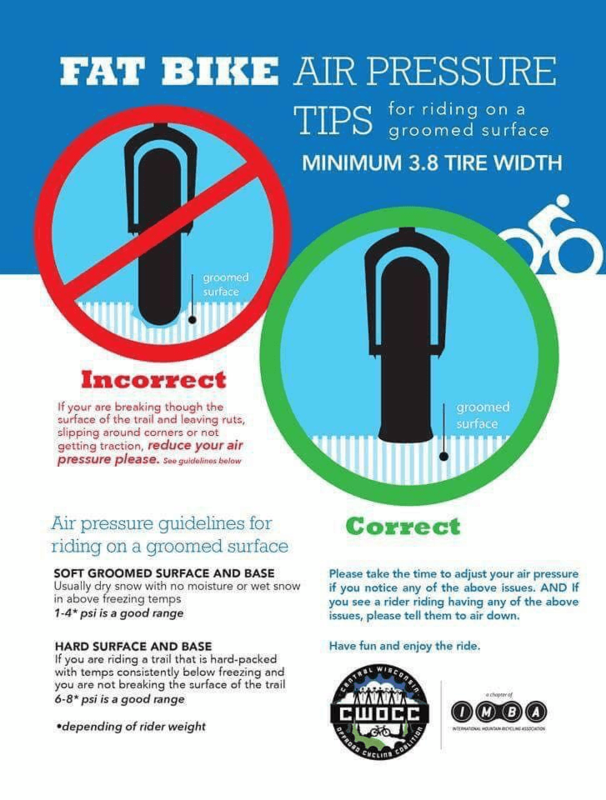 In the meantime– here’s a fat bike tire pressure guide and a good guide on ski waxing by Swix. May I preview the course? Yes! See the details here. Is there a warming route? There is not a warming route on site, but we have some nearby suggestions here. What food is available at the finish? Soup, hot beverages, bottled water and fruit will be available at the finish line for all participants upon completion of the race. There will also be a soup luncheon from 11-3. Are there any other racer perks? Free massages will be available after the race from Boulder Junction Wellness and Calming Stone Massage. What is there to do in Boulder Junction on Sunday? Make it a weekend to remember and enjoy! See some of our tips.